riding instructor e. g. in Saudi Arabia and Kuwait. and friendly way of teaching his experiences. 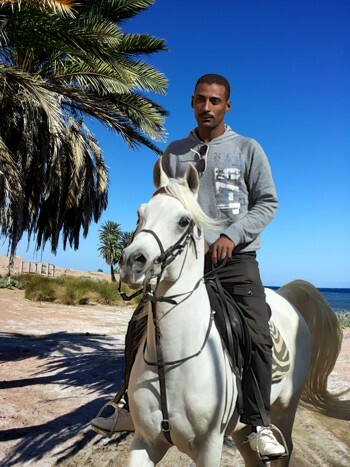 Since 2004 he is running in Dahab (Egypt), next to the hotel Happy Life Village, his own riding stable. Five genuine Arab horses are ready to take you on excursions. Ali has a lot of experience in horse breeding, currently two foals can be found at the riding stable.